We recently launched a new website for a local senior living facility. 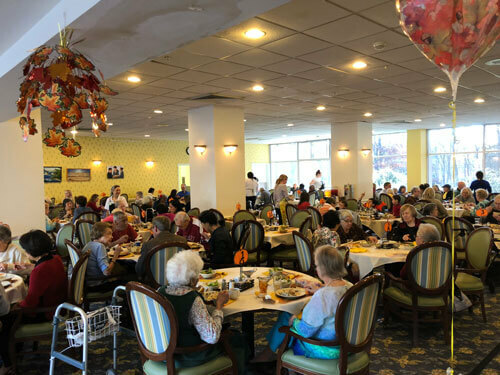 Culpepper Garden is an award-winning, nonprofit retirement community specifically designed to provide security, comfort and affordable, quality living for people age 62 and older in Arlington, Virginia. Over the past year, we worked with the management of Culpepper Garden to carefully and thoughtfully replace their very old website, which was not built on a content management system. They were not able to easily add content and updates to the website. It was not mobile responsive and was difficult to navigate. The text was small and the design was out of date. In addition, there were multiple donation platforms on the website, causing confusion and unnecessary extra fees. 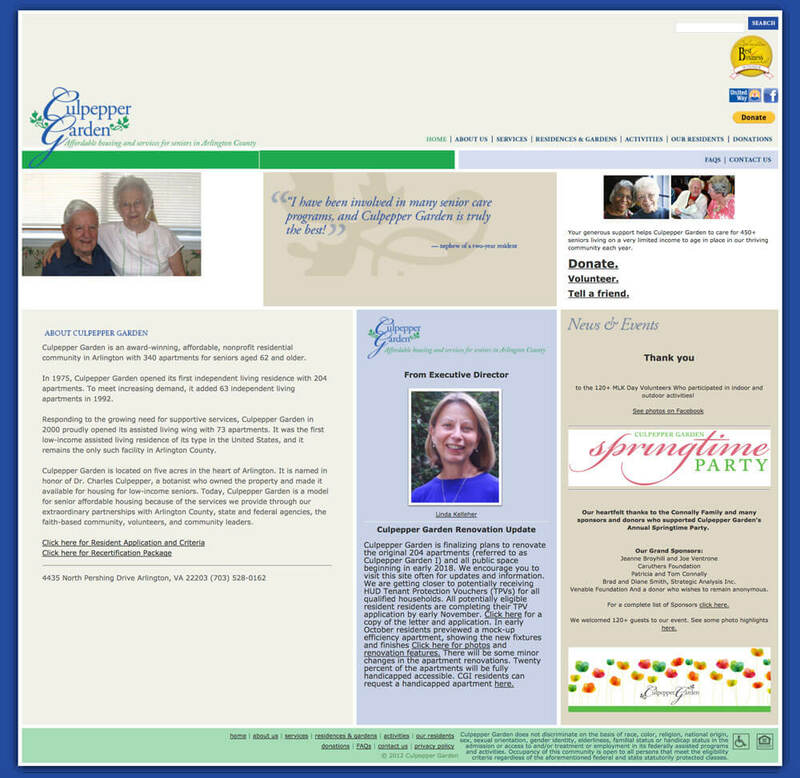 The old Culpepper Garden website was hard to navigate and the type was small and hard to read. We created a clean new design that is easy to navigate and clearly communicates the message that Culpepper Garden is a happy place that focuses on serving its residents with care and respect. As part of our process of getting to know our new client, I visited and volunteered at Culpepper Garden. I was fortunate to serve residents and their families at Thanksgiving time. It was clear during my time there that the residents love their home and their community. Having this one-on-one time really helped me develop a website that represents the spirit of Culpepper Garden. Another helpful experience was attending a session at WordCamp US about creating websites for aging populations called, “Designing for Generation X, Baby Boomers and Beyond,” by Michael Hull. Mike is the Director of Web Development for Erickson Living, and addressed some of the unique aspects of designing, developing, and testing with this audience. The old website used a combination of PayPal embedded buttons and a 3rd Party donation platform, which charged extra processing fees. Design TLC installed the GiveWP plugin to help Culpepper Garden keep more of the donation money they collect, reducing their fees to the cost of the plugin add ons and the PayPal processing fee. I am a huge fan of the Give plugin because it makes donations more effective and includes helpful reporting for non-profit websites. We have tried a few Events plugins at Design TLC, but our favorite is Events Manager. We love that this plugin is easy to configure to show events by category, to customize the display output and to include an interactive calendar with the Free WPFull Calendar Add On. This was a great improvement on the new Culpepper Garden website, because they have resident events, volunteer events and donor/public events. We love Beaver Builder! We were able to make a clean, usable design that is also easy for our client to edit. Lightbox image links, infographics and svg images were all easy to implement on this website and work well. As part of the process of launching the new website for Culpepper Garden, we set up meta descriptions and did some basic keyword research. Design TLC is beginning to offer SEO services, so this was a good opportunity to put into use what we have been learning about implementing best practices into website content and code. 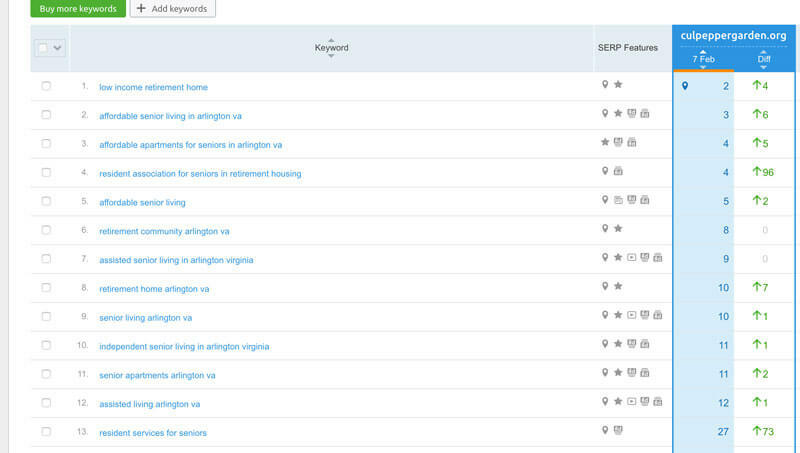 We were really excited to see results for the new website after just one week of being live, showing that our efforts were already having a positive impact on the search engine result pages (SERP) for Culpepper Garden!